Schneider Electric provides automation and control solutions across multiple market segments, including process and building automation as well as a broad presence in residential applications. With more than 110,000 employees, Schneider Electric achieved sales of 19.6 billion euros in 2010, through the commitment to help organizations to 'Make the most of their energy'. Schneider Electric is leader in manufacturing automation and control solutions. 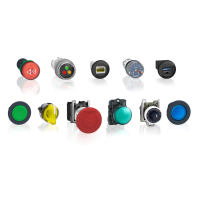 In this area, RS offers an extensive range of products, from programmable relays to motion controllers and interface modules. 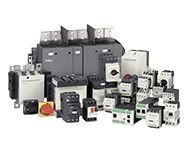 RS can provide the right Schneider Electric solution to control simple machines or complex applications across all industrial sectors including Programmable Logic Controllers (PLCs), Industrial Circuit Protection and Enclosures ranges, all available for next day delivery. Start smart. Run smart. With TeSys motor controls. From switching and protection to monitoring and control TeSys D Reversing or non-reversing contactors up to 75 kW/400 V and 250 A/AC1. Thermal-magnetic and magnetic circuit-breakers up to 115A/55 kW. Building high-performance machines and panels has never been easier. Push-Buttons Designed to Help You Keep Costs Down. Harmony, Obviously!